Family vehichle that can comfortably fit adults when needed. Decent cargo space, low milage, fuel economy and reliablity a must as I commute via highway daily. The Mazda 5 is an excellent choice. 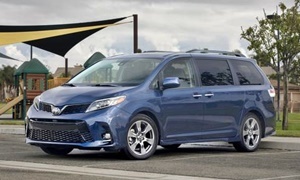 Since you're already sold on the size and cargo room I can't think of a better choice unless you want to go with a Toyota Sienna or Honda Odyssey, neither of which I think are really that much bigger. Mazda builds good vehicles and the Mazda 5 definitely is one of them. The good thing about the Mazda (at least for you) is that even though Mazda didn't build them for that many years, they seem to lose out to minivans on the used market and thus they can be bought at very attractive prices. The Mazda5 is a good and reliable car, just not a really good minivan. The Honda Odyssey and Toyota Sienna are larger on the outside and extremely dramatically larger inside. There are two aspects of the Mazda5 that fall short: interior space and technology. Don't expect to fit anyone larger than a 5 year old in the 3rd row seats. In the Odyssey and Sienna, you could fit 3 adults across the 3rd row and still have tons of cargo space left over. When the 3rd row is folded in the Odyssey and Sienna, it is a giant empty refrigerator that is super versatile. In the Mazda5, you get fit two 5-year-olds in the 3rd row and have very little cargo space left over. If you fold the 3rd row in the Mazda5, there is a decent amount of space, but not as much seats. I find that SUVs feel much larger than the acutally are and regular-sized minivans don't feel this way. 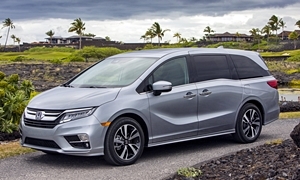 Yes, the Mazda5 does feel smaller than a regular minivan, but if you are buying a car for the cargo space, the Mazda5 shouldn't be at the top of your list; an Odyssey or Sienna should. 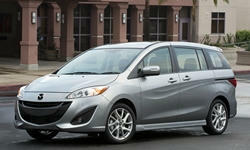 There is not nearly as much technology in the Mazda5 as in the Odyssey and Sienna. The interior of the Mazda is not as versatile as the regular minivans. The Mazda5 and Odyssey have a lot of road noise on the freeway, but the Sienna is very quiet. 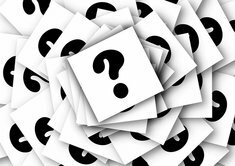 Avoid the 2007 and older Odysseys because they had either transmission failures, power steering porblems, or A/C issues. The Toyota Sienna is more reliable, comfortable, and quieter. The downside of the Sienna is that it feels as big as it is. It doesn't handle that well. The Odyssey does actually feel much smaller than it is around the corners and around town. Of course the Mazda5 feels smaller than the Odyssey, but I doubt it is a huge difference. The Mazda5 is reliable; 2010 and earlier had suspension problems. 2012+ are reliable, but to get basic things like a USB port and backup sensors, you have to get a 2013 or newer. The manual transmissions are rare, but have clutch failures pretty often. In the end, I strongly recommend the Toyota Sienna or Honda Odyssey over the Mazda5 if you need passenger and cargo space. Otherwise, the Mazda5 is a solid choice. Avoid the Grand Caravan and Town and Country at all costs.